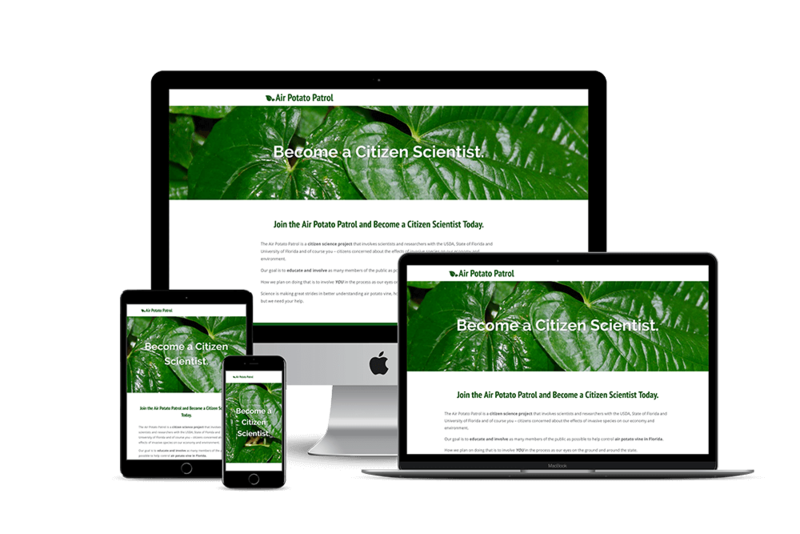 I designed and helped to develop a Citizen Science, also known as “crowd science,” website for the USDA, Florida Department of Agriculture, University of Florida, and Hernando County Extension. 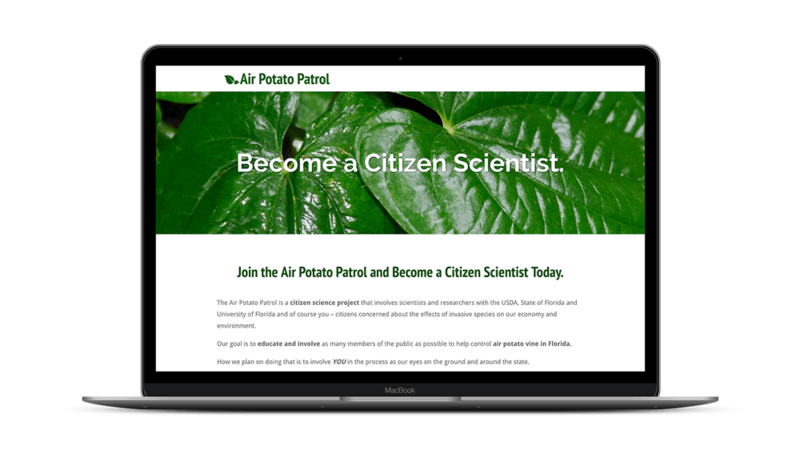 The goal was to get users excited about being a part of helping the University to gather data on Air Potato vines and beetles. 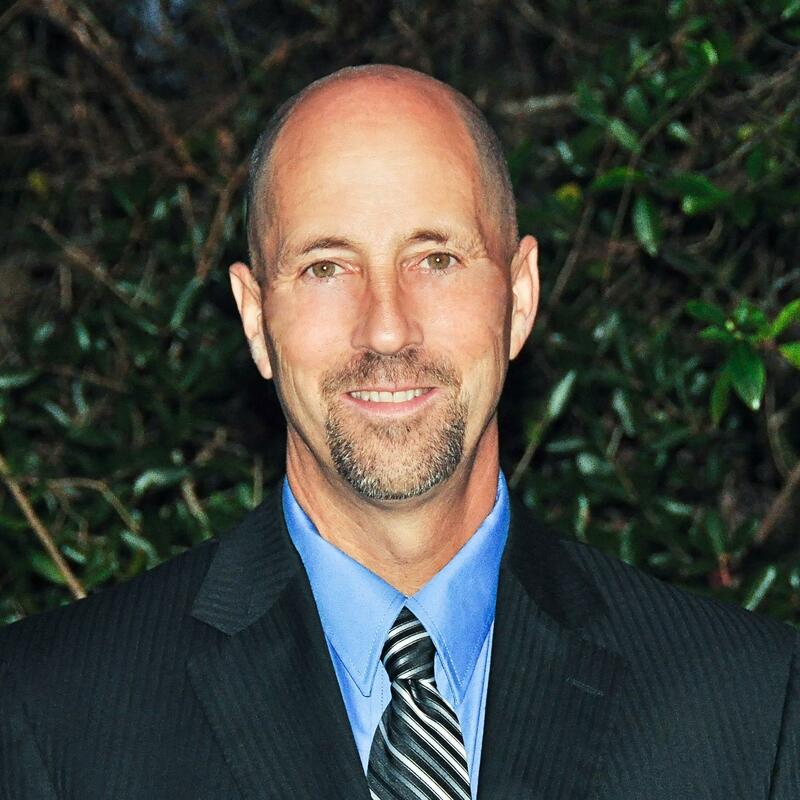 The site was a simple website, however it incorporated UF’s tools for gathering data and information from their participants. I was able to integrate the site with Qualtrics, the service the University uses to collect research data. 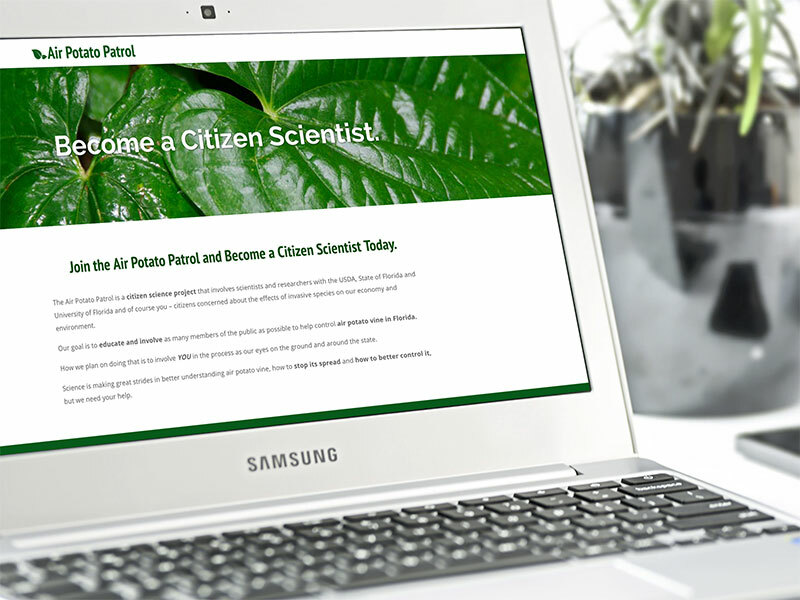 Video modules were added so they could train their “citizen scientists” on the subject matter. 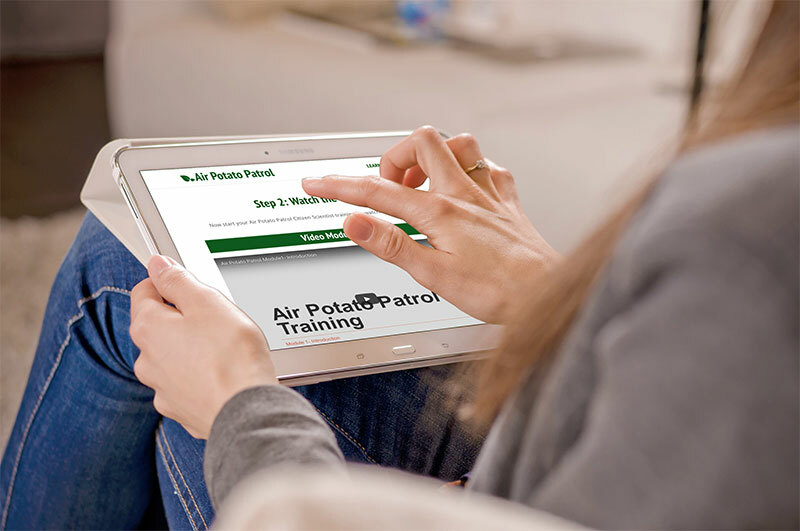 I also designed and developed the logo for their “Air Potato Patrol” brand for use on the website and other items in the future. Nora has helped me out in a pinch more times than I can count. She always pays attention to detail and provides me with much more than I expected. Some of the projects she has helped me with include graphic design on posters, flyers, brochures and social media marketing. She is by far the most talented person in this line of work that I have ever known.